What you see on these photographs is a lake: THE ‘SPOTTED LAKE’ or ‘KITLIL’X’! The lake appears to be a normal one from fall to spring. However, during the summer, most of the water evaporates and crater-like mineral deposits at the bottom of the lake become visible. 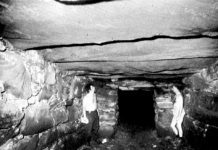 Due to their different concentrations of magnesium sulfate, and calcium/sodium phosphates, the mineral deposits, about 25 feet on average, get a distinct yellow, orange, green, or blue color. Such a mystic place also has a spiritual value. ‘Spotted Lake’ is a sacred place of healing used by First Nations people for centuries. The lake is actually comprised of 365 separate pools, each of which holds its own individual medicine and healing power. The 56-acre Spotted Lake site is considered of significant cultural and spiritual importance to Okanagan First Nations. 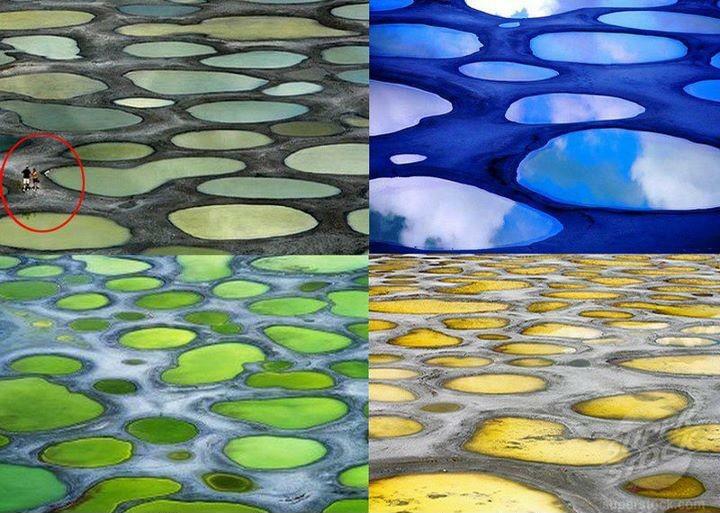 The colorful spots found in The Spotted Lake in British Columbia are the result mineral deposits found in the lake. 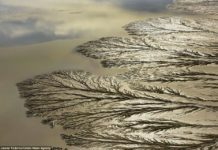 In the summer, the water evaporates and the minerals crystallize, forming the beautiful patterns on the lake’s surface. 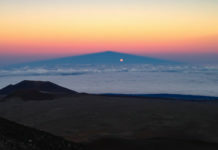 Can you imagine yourself walking there? 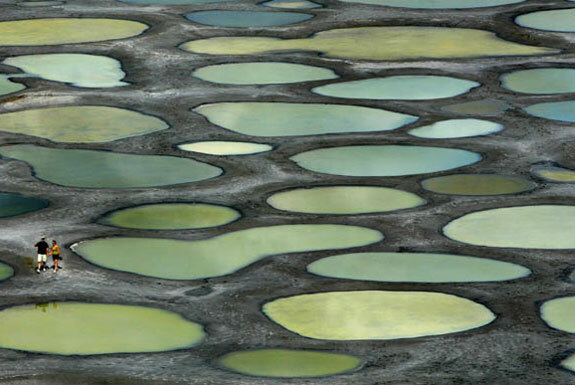 The ‘Spotted Lake’ contains some of the highest concentrations of magnesium sulfate, calcium and sodium sulphates in the world, along with small amounts of silver and titanium. 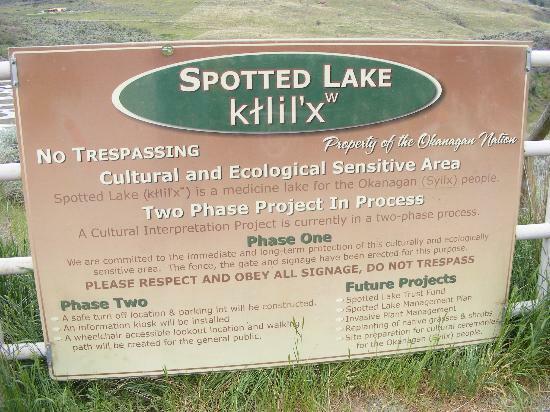 In 2001, Canada acquired ‘Spotted Lake’ for the benefits and uses of the Okanagan Nation for $1 million. Doing so, Canada recognized the importance of this sacred site to the Okanagan First Nations and demonstrate that sometimes First Nations, government and individuals working can achieve solutions that works for everyone. I can tell you that this is not often the case! 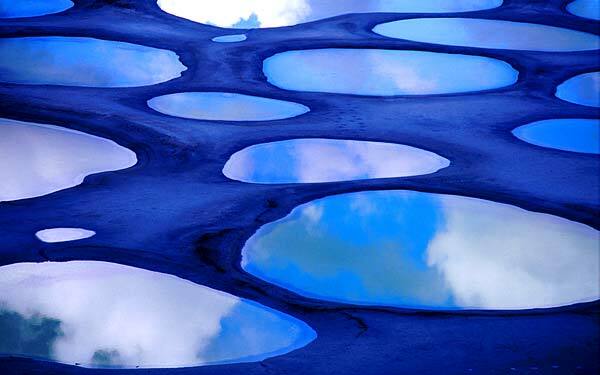 ‘Spotted Lake’ is now protected from any developments and will remain in its natural state. Respect nature and cultural heritages! 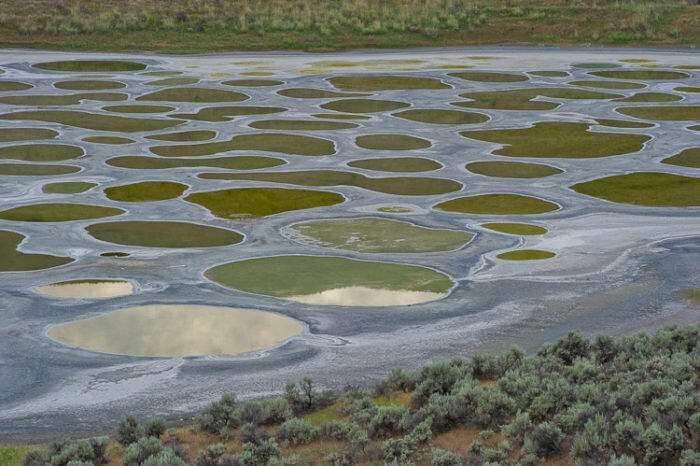 Respect the spotted lake! 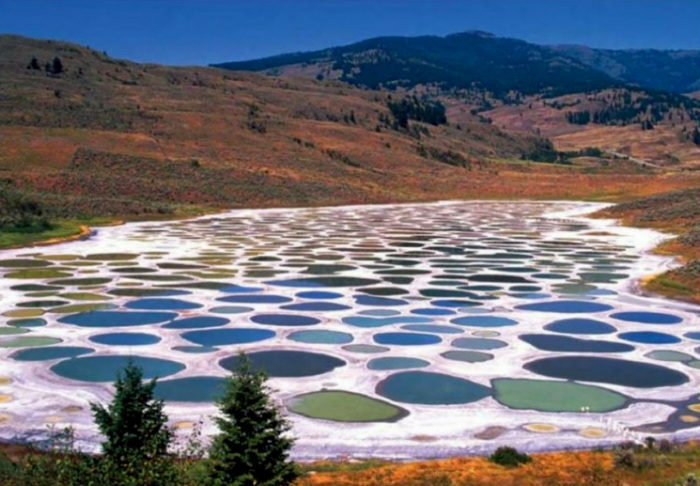 Discover the amazing and multicolor Spotted Lake in British Columbia (BC), Canada and its therapeutic waters.